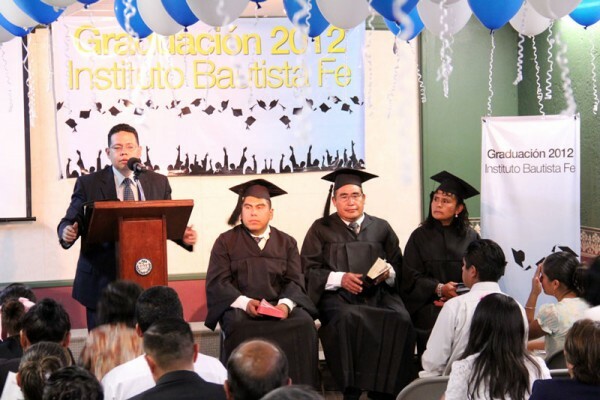 Three Graduated From Our Bible Institute! 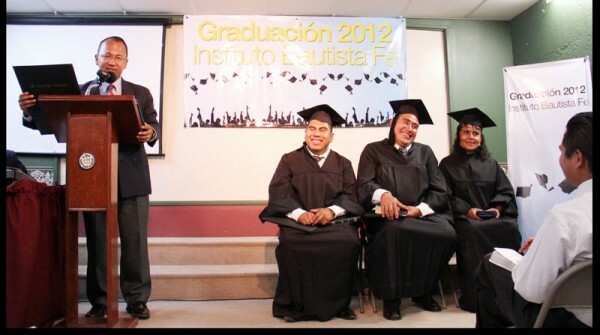 After 4 years of hard work and much learning, three of our students graduated from our Bible Institute. 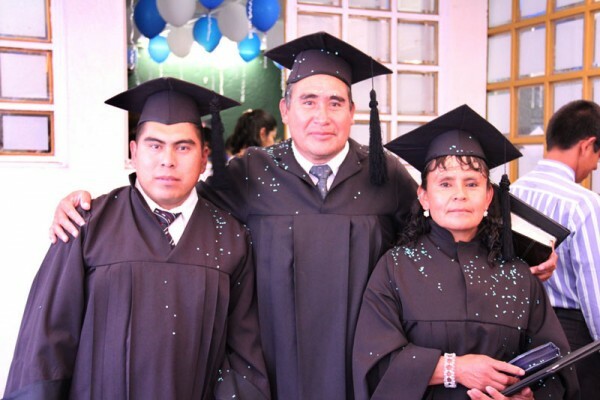 Brother Alfredo Perez and his wife started attending our Institute since we started four years ago. And Brother Angel Amado started a year ago. 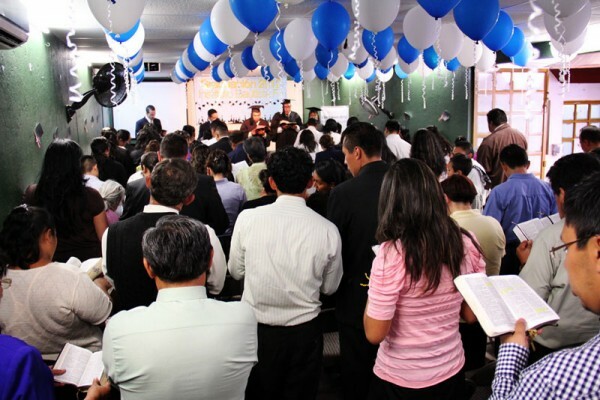 He is already Pastoring a church near Puebla. 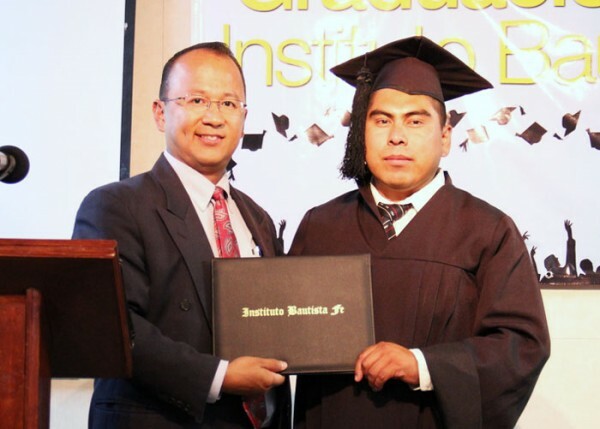 He transferred his credits from a Bible Institute from California. This makes a total of five that have graduated from our Institute. One of them, Bro. Alejandro, is on deputation right now in the States. Next school year we are moving our Institute to the morning hours. The plan is to have school three times a week, from Tuesday to Thursday, with more hours. (From 8:00 am to 12:00 pm). 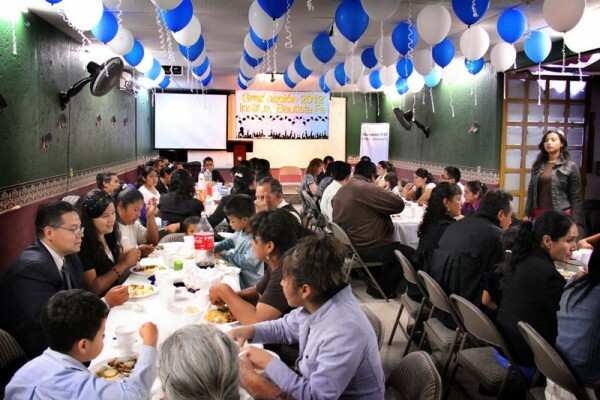 Please pray for this project as we try to train more people for the Lord here in Mexico. During our Sunday morning service we had bro. 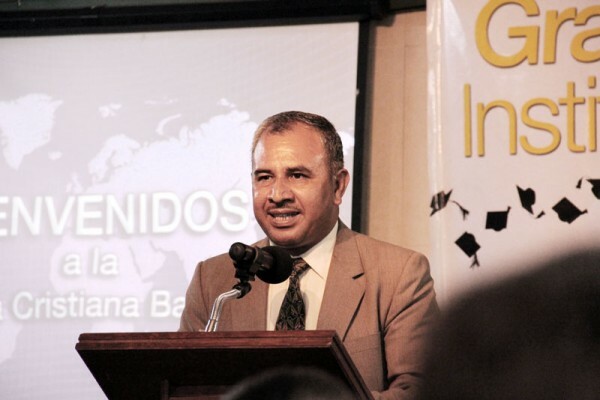 Miguel Flores, who is a missionary in San José de los Cabos in Baja California Sur, here in Mexico. He has already started two churches in the last ten years and now he is on his way to start mission work number three. He was a blessing. He is a man of faith. Also, this Sunday morning I had the privilege to baptize seven people. Some of them you know already, like Pablo and his family. I mentioned before that Pablo’s wife searched for help in the Yellow Pages looking for a Christian church. She called our church back in January. And to make the story short, she got saved, her husband a month later and their two daughters. Also the mother-in-law (Pablo’s mom) got saved. So, today, Pablo, his wife, his daughter and his mom got baptized. Another couple that started to come to church found us because of our sign outside our church. 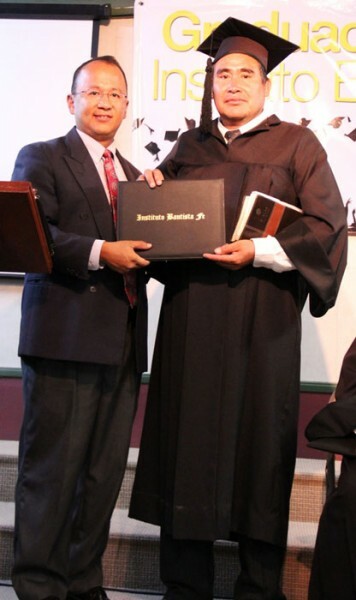 He, Juventino, got saved about a year ago. 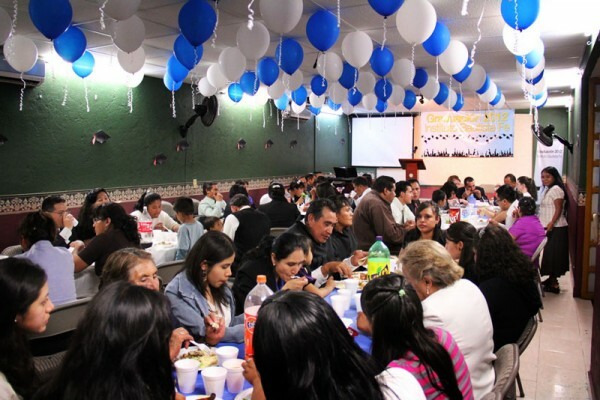 (He was led to the Lord by a Pastor in another town, and told him to look for a good Christian church) He gave his wife a Bible, and she started reading her Bible a year ago. Soon, she took down the images from the walls of her house. Six months ago, she asked when they were going to go to church. Finally, one day, about a month ago, she told him that she was going to go to church, with him, or without him. She had seen our church and wanted to come to visit us. So… they finally came, and are very, very excited about serving the Lord. Below is a video of the baptisms. Thank you for your prayers and support.